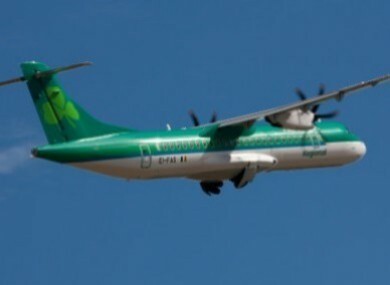 THE SHORT HOP branch of Aer Lingus has recorded its highest passenger numbers since the franchise was founded in March 2010. The service, which is operated by Stobart Air, also marks 12 months of consecutive growth with its June figures. Much of the increase was due to a 39% bump on the Dublin to London Southend route, which was attributed to passengers travelling to the Wimbledon tennis tournament. The airline carried 130,098 passengers last month, a 37% increase on the same period in 2013. June was also the third consecutive month of growth in excess of 30%. Passenger traffic from all Irish bases grew last month, with the largest increase ssen at Dublin where 45% more people were carried to and from. Cork saw an increase of 18%, Shannon 29% and Kerry 4%. Passenger numbers on services to Bristol from Dublin, Cork and Shannon also grew, with Aer Lingus regional attributing the rise in numbers to the Glastonbury music festival. Email “Wimbledon serves up best month ever for Aer Lingus regional”. Feedback on “Wimbledon serves up best month ever for Aer Lingus regional”.